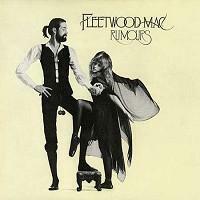 We've had and heard the test pressing of this Rumours reissue, as it was mastered at AcousTech way back in July 2006! We've been dying for this sucker to come out! We can say, unequivocally, that it is UN-FREAKIN'-BELIEVABLE! This will be one of the most exciting releases of the year, and the sound matches the hype. Buy this baby! Pressed on vinyl at Pallas and packaged in a single-pocket jacket with four-panel insert. I have so many copies of this LP - including a Nautilus Recording from the 80's. But none can compare with this version. Dead Quite Vinyl ... amazing sound .... up front and "clear" is how I can best describe it. And my system is in no way top of the line ... and yet, this LP sounds so amazing. Very happy to have a copy that is a "master". This release is everything you could hope for - perfectly remastered, stunning pressing, beautiful package. It makes hearing Rumours like a new experience. I can't find fault. this is a reissue that is worth every penny and so much more. thank you for your dedication!